I’ve got a gmt m2 Landing shortly from Goldsmiths. Papers and warranty being held for 12 months they’ve informed me already. 1000m! I didn’t know such a thing existed. So far loving it. I think I will try to upgrade it to automatic or an actual spirotechnique. 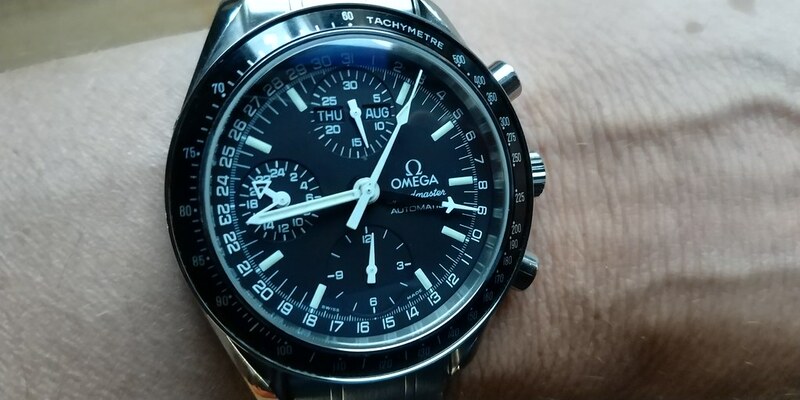 As posted previously, my recently purchased Omega 3520.50 triple date arrived yesterday but I only managed to pick it up today. 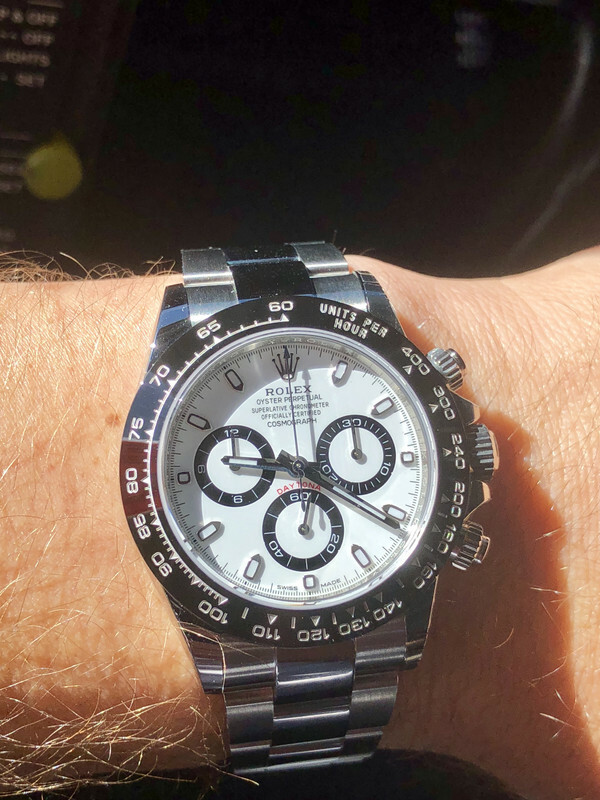 A little nervous being an eBay buy, I've had the back off and can confirm all is genuine and in order..
First impressions since wearing it all afternoon.. I love it! 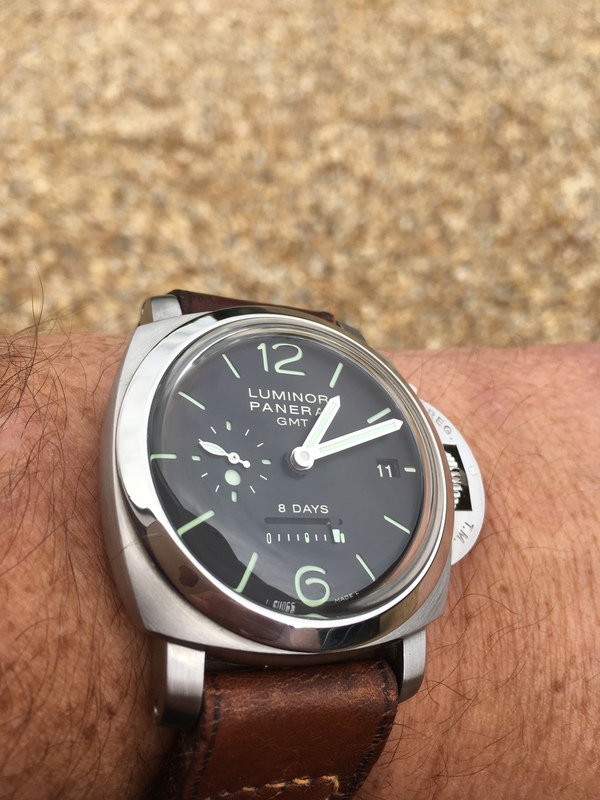 I thought the size would be an issue after wearing 42mm for so long but it actually sits really well and feels a little more old school, a touch more subtle. 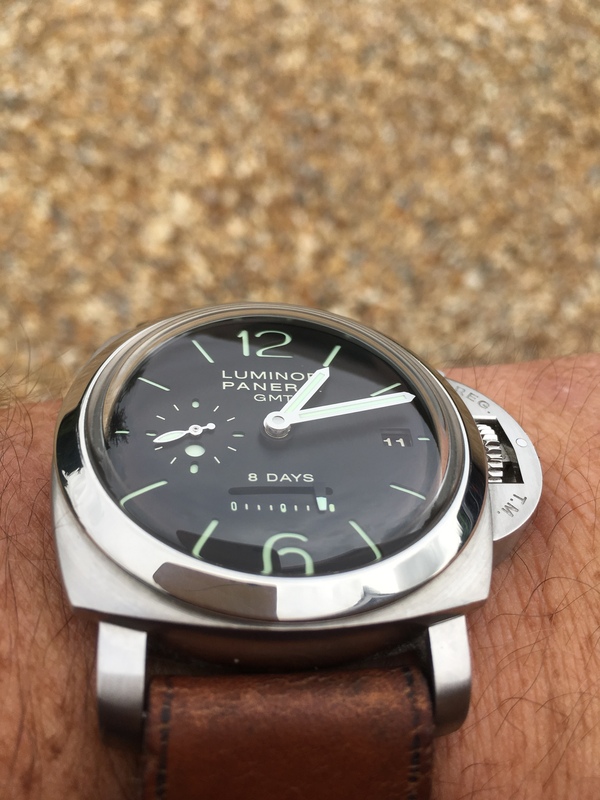 It is supremely comfortable, more so than any other watch I own so perhaps the 39/40mm is the way I should be going.. 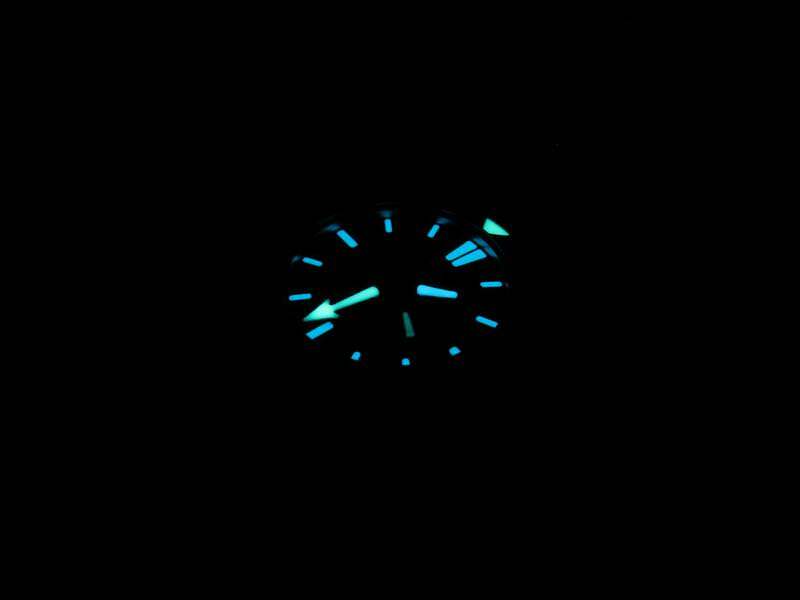 Dial looks mint, even through a loupe. All functions work perfectly. Nice snap back on the reset. Pushers are nice and positive click. That dial! Some may say busy, I say all the info I need. You might be able to tell that the tip of the second counter hand is ever so slightly bent. This does annoy me slightly..
All in all I'm very pleased with it. 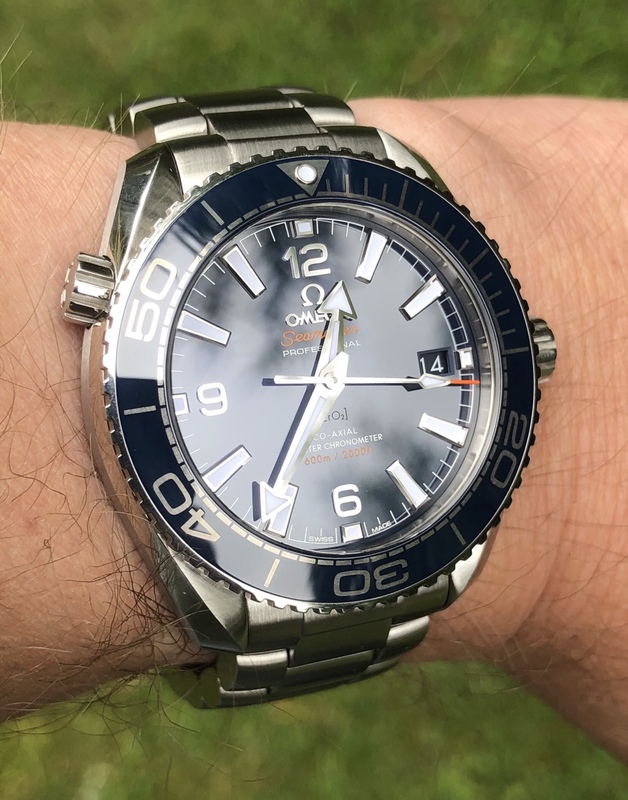 I wasn't after a safe queen and it's by no means mint, but it is an honest example and is already a favourite..
Last edited by Nuisance Value; 9th August 2018 at 22:40. Not really new to me but this LIP has been off my wrist for ages due to my own ham fisted attempt at trying to change a battery and breaking the contact and the second hand coming off! 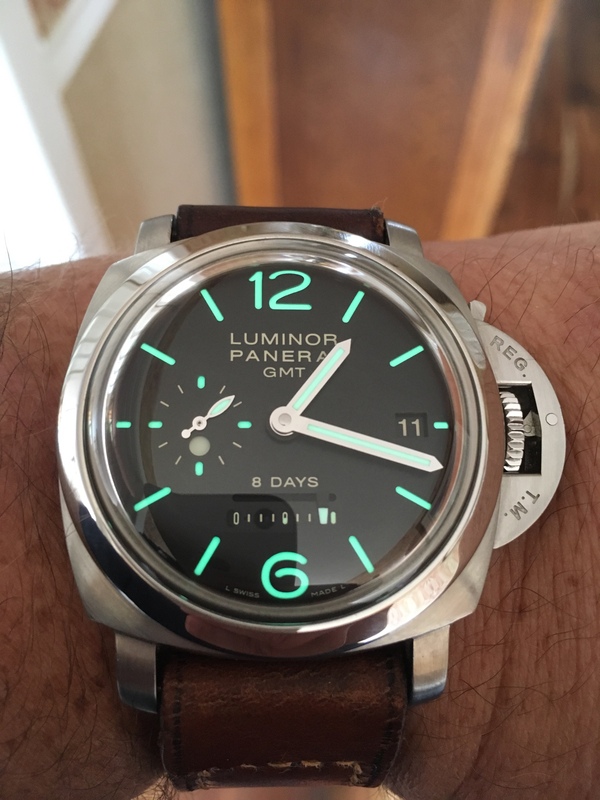 I'd tried Paul at electric watches but unfortunately he said he has stopped working on this type of watch now, if that's permanent or not I'm not sure. Tried a couple of others but no joy. Anyway webwatchmaker (Brendan) kindly agreed to take a look at it. So after a couple of weeks it's arrived back this morning looking brand new. 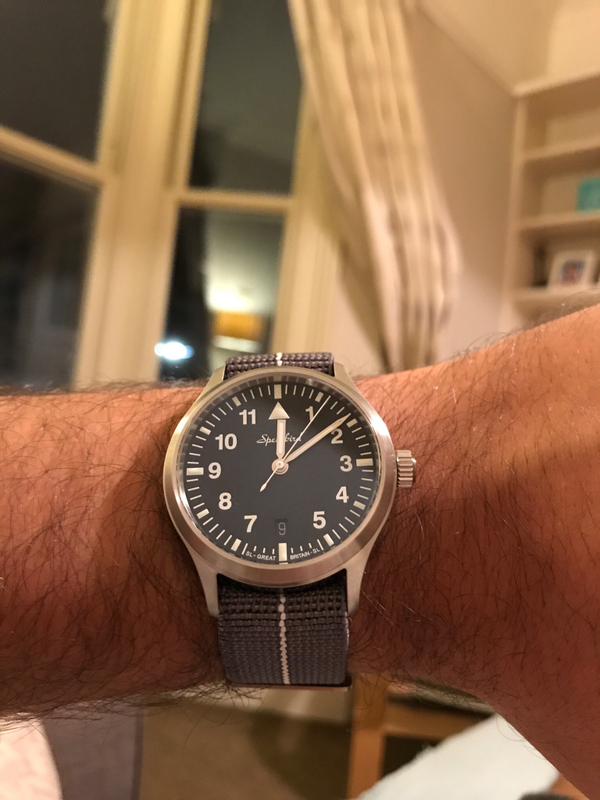 I wear this a lot while at home, I love the mix of colours and it looks great on the NATO. Many thanks Brendan. Here (hopefully) are some pics. Never come across one of these. Amazing bit of kit. Might be too bling bling but great fun. 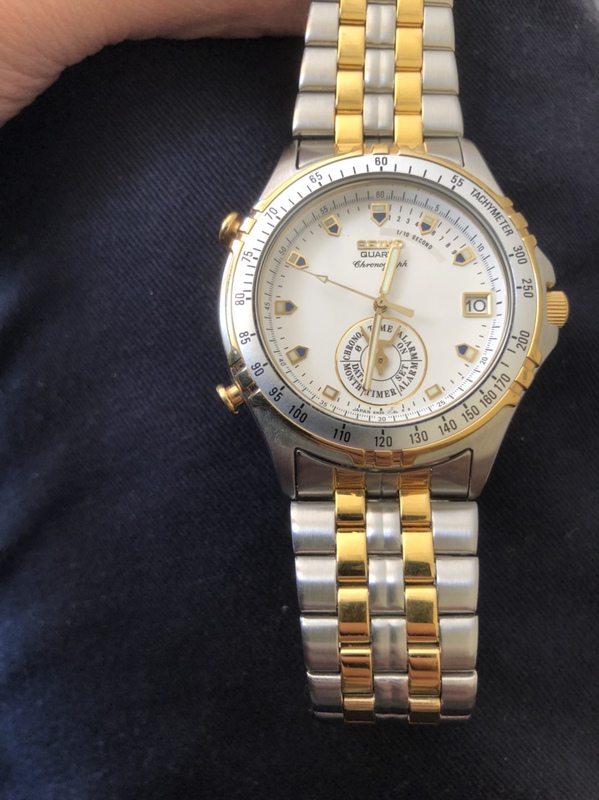 Flyback Chrono. “dancing hands”. Looks awesome. Is that the Mirage? Went for a coffee. Didn't get coffee. Yes. I saw one late last year, went back on lunch at it had gone. Total chance that I saw it today! Last edited by Nev; 11th August 2018 at 13:16. Well, it has taken 2 years and a PM purchase but the wait is finally over. Not everyone’s cup of tea but I couldn’t be happier. That's something a bit different, really like that. That's very nice Ben, what model is that? 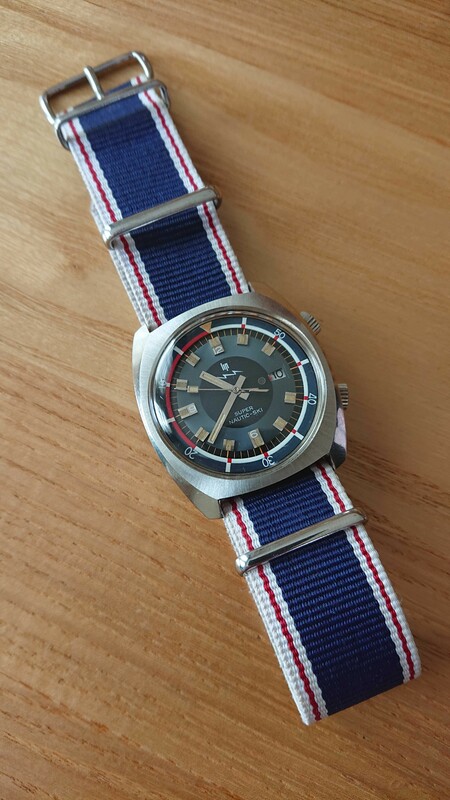 It's the new sbgv245 but with a different strap. Finally arrived after a three week wait. Second time I've seen that posted now and I really like it. Had a call today and came home with this. 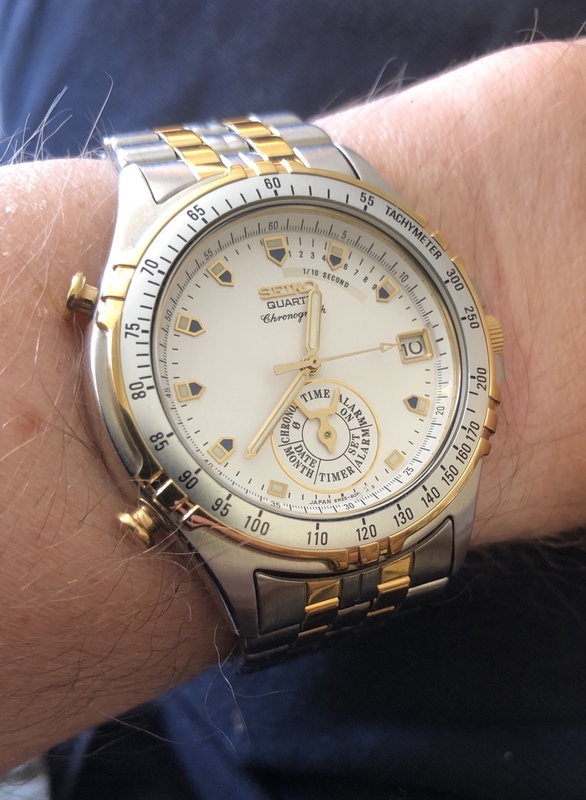 Two small(-ish) Breitling Chronomats to a growing collection. 1. Ref A13352 with MOP dial and UTC. 2. Ref A13050.1 "Red Arrows". Both full sets and in lovely condition. 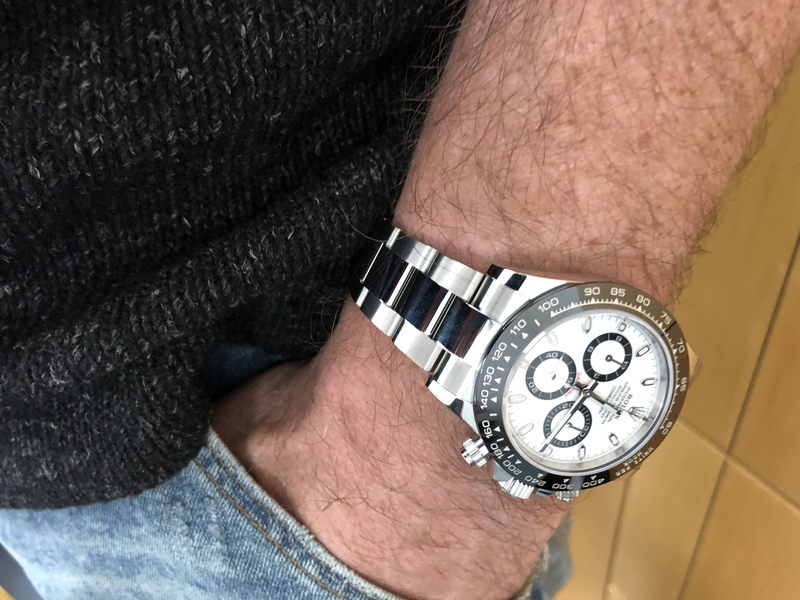 Traded my Omega PO for my first Grand Seiko, a 2010 manufacture SBGM023J GMT with the 9S66 movement. I’ve long been a fan of Seiko, but the quality of workmanship on this GS is stunning. Previous keeper Russell has kept it in beautiful condition. Looking forward to travelling with it - got several business trips coming up where this will be perfect company. 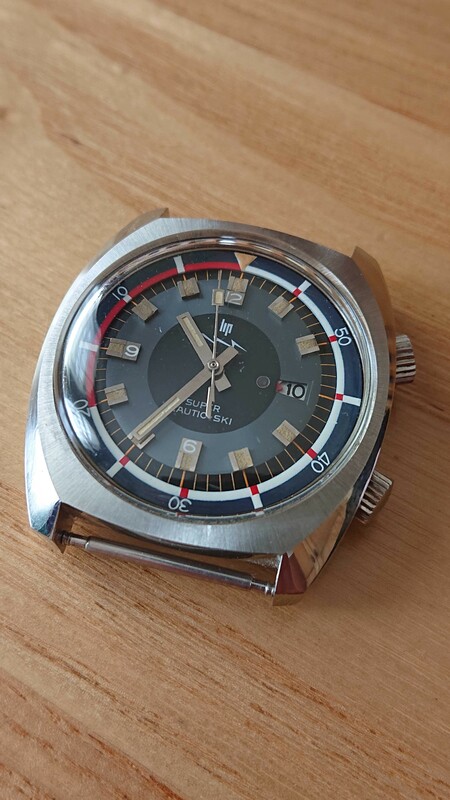 Just had a look at GS's website for info on the movement (wanted to know if it has the independently set hour hand) and it suggests it's a Hi- Beat movement, but no markings to suggest that on the dial? I picked this up a couple of weeks ago from Prestons of Wilmslow - great service, as always. 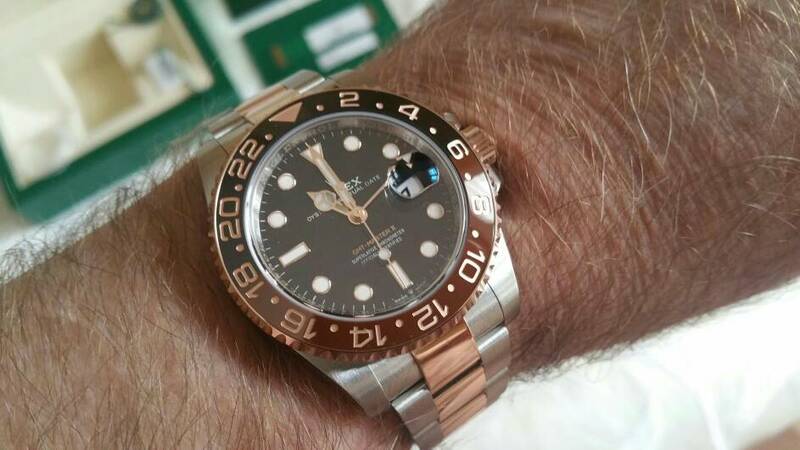 It's everything I expected from the Basel reviews, and the black/brown work beautifully with the rose gold. Last edited by W124; 13th August 2018 at 13:54. 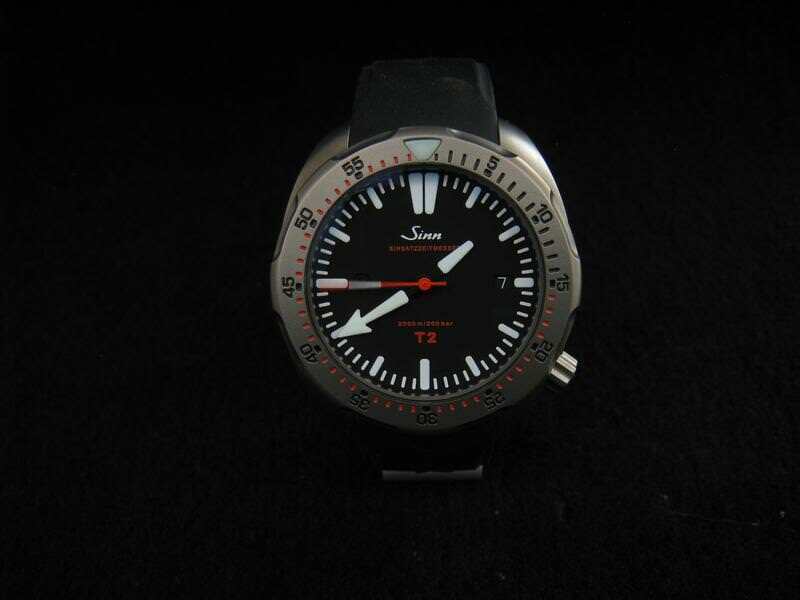 No it’s not the hi-beat, but does have an independently set hour hand. 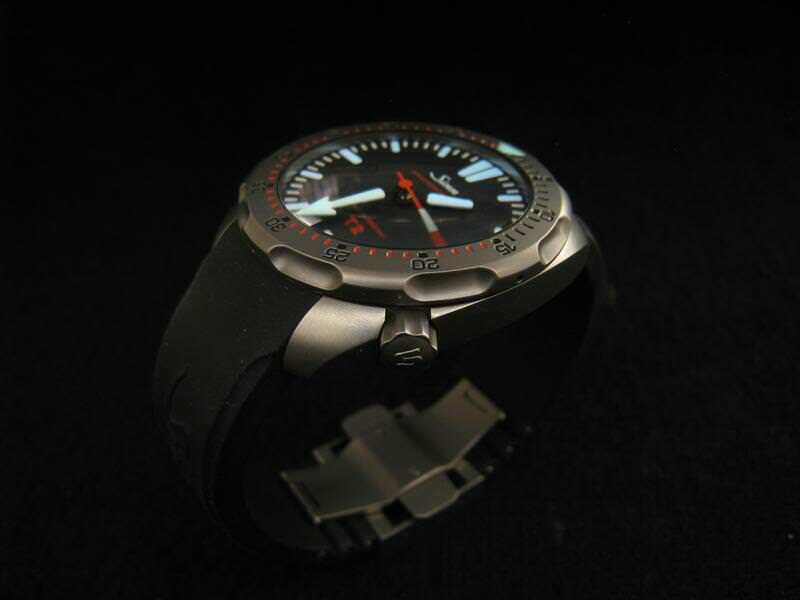 That combination, could be the "acceptation to the rule" when it comes to Bi-Metal watches for me. Ffs. I might have to put a WTB out for one again now looking at that pic 藍. 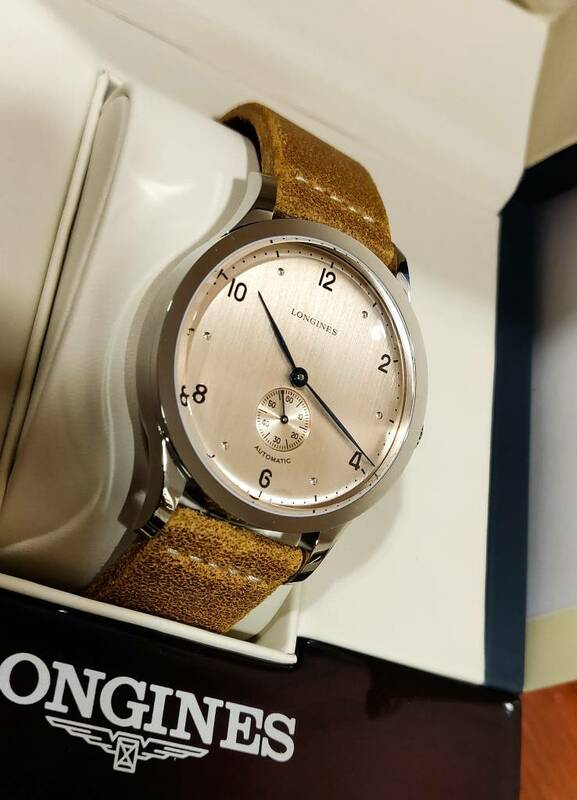 A great looking watch. Preferable to the Pepsi, in my view. Looks like the great service also extended to receiving the warranty card. I was under the impression that Prestons withheld the warranty card for all Professional models. Very pleased you like it so much - the 39.5 looks a perfect fit on you. 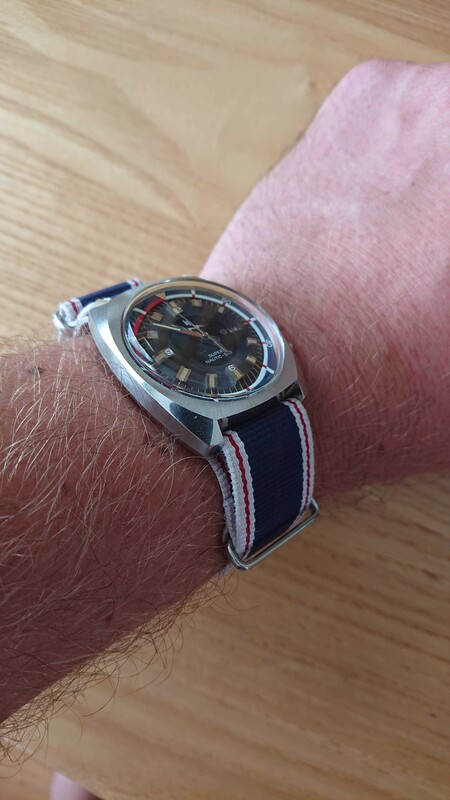 I have bought many new watches from Prestons (and previously Cottrills) over the past ten years. They know me well, and know that I will not flog it on for a quick profit ! Last edited by W124; 13th August 2018 at 17:54. This model is stunning in my view & is on my must have list for next year. Nice colour combo there ! Got this at the weekend and am happy with it. 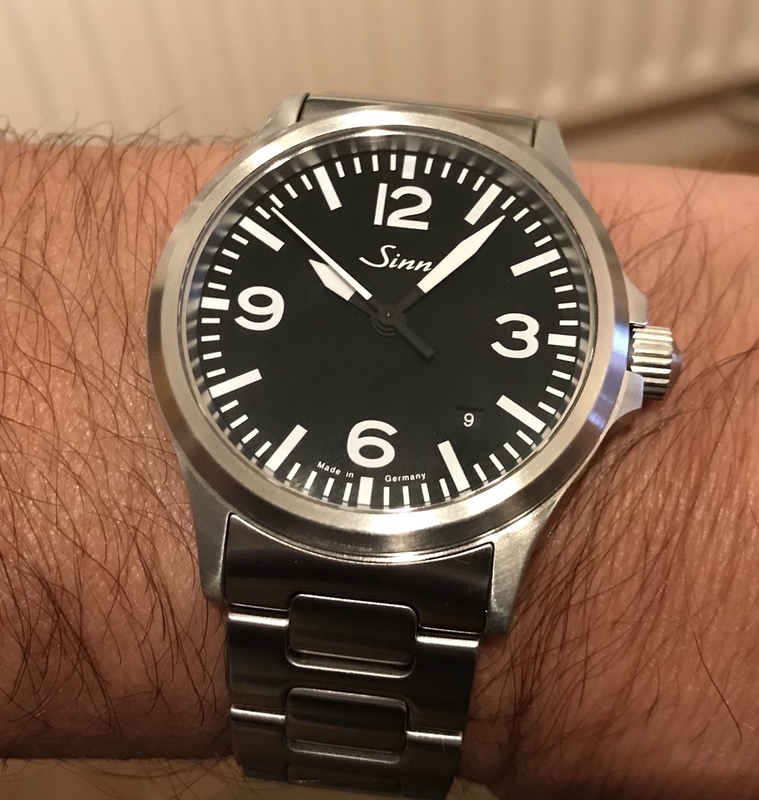 Not quite new arrival but have been searching for a fat font bezel for an age and here it is on my 16750 matte dial gmt. 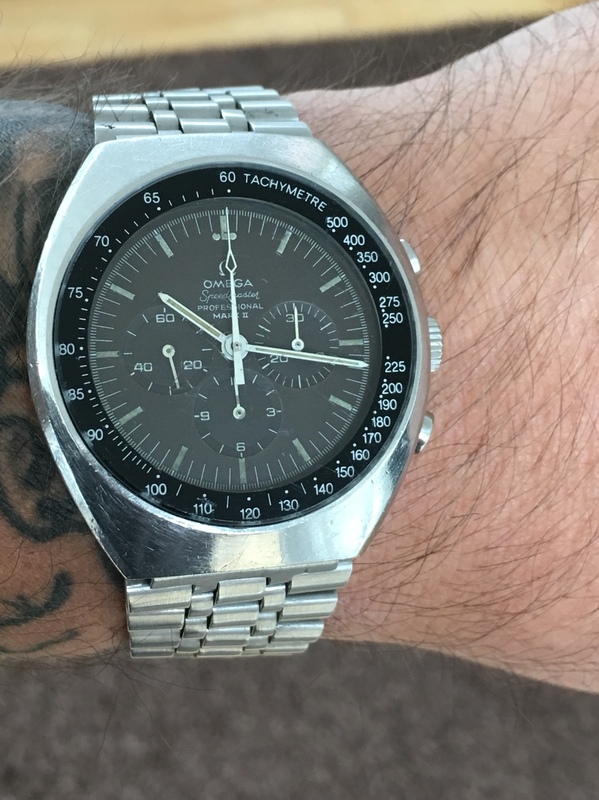 [QUOTE=ac11111;4853717]Not quite new arrival but have been searching for a fat font bezel for an age and here it is on my 16750 matte dial gmt. 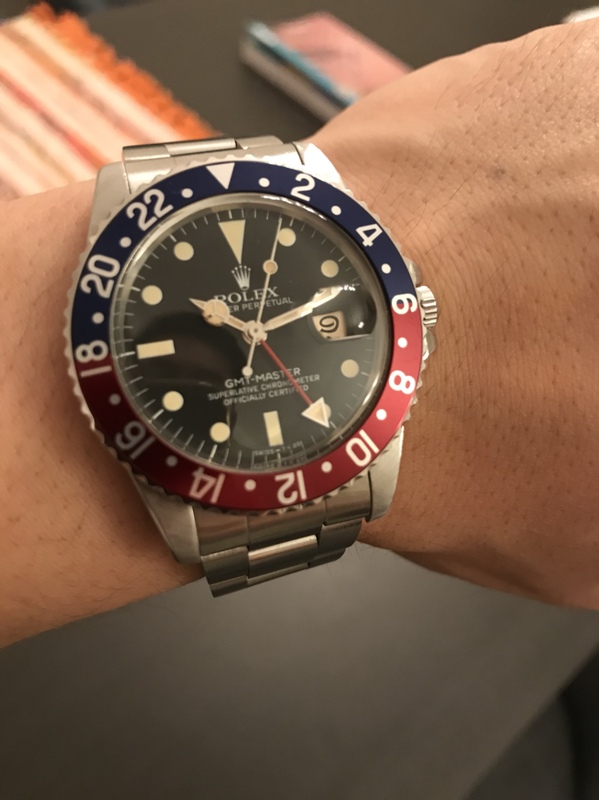 Love the transitional matte dials-1675 without the date setting hassle. I am fighting the itch to get one!!!! Last edited by zelig; 14th August 2018 at 11:23. What a cracking pair of watches. 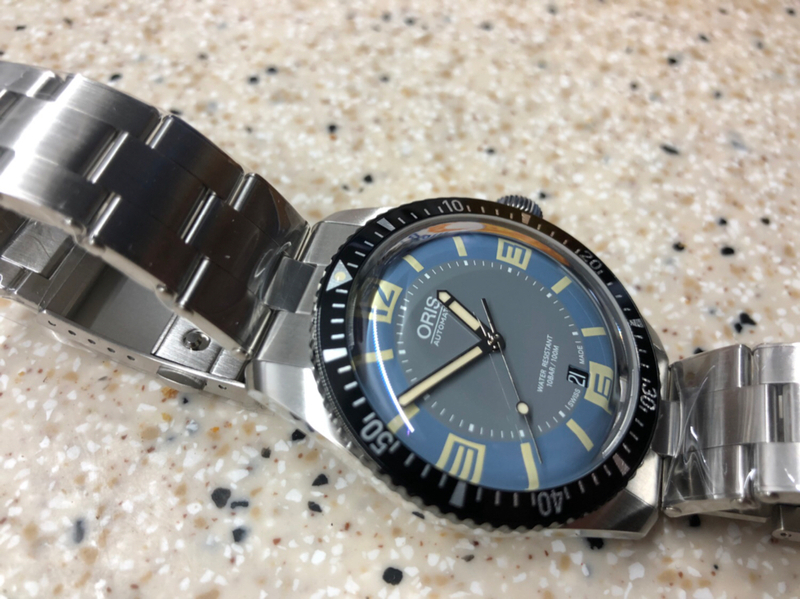 I think this shows the range and brilliance of Seikos design language, that one company can produce two almost diametrically opposed watch designs to such a high standard. I would struggle to choose between the two for most occasions.